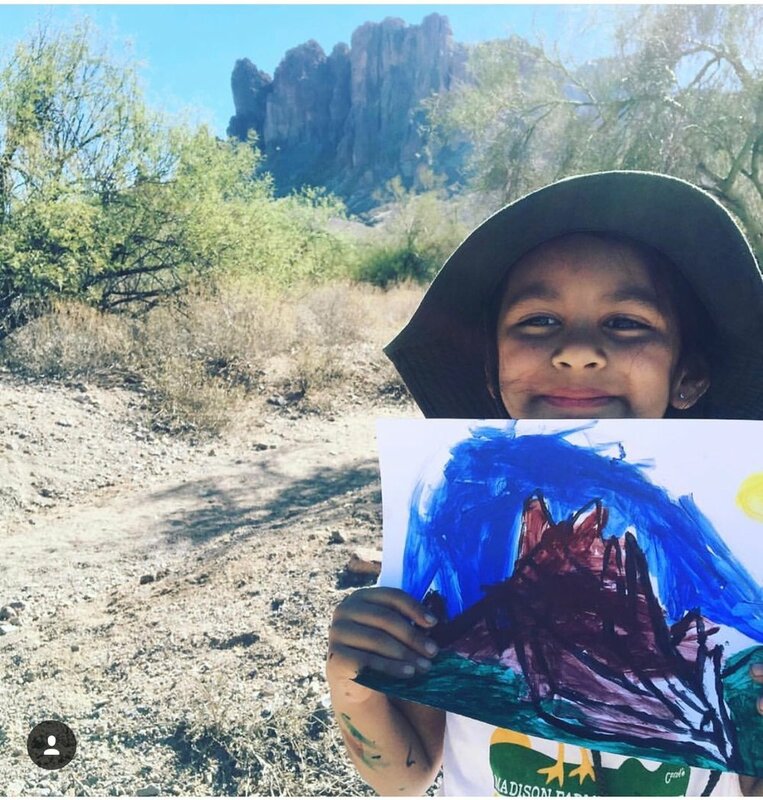 HECHO Advisory Board Member Viviana Reyes and her daughter love to camp in Lost Dutchman State Park, which is only a 45-minute drive from Phoenix. She says, “[i]n October it is warm during the day with many gorgeous hiking trails to choose from; and the chilly nights are filled with coyote howls.” You can camp by tent, RV, or even in a cabin. There is currently a special introductory rate of $89 per night for cabins through October 31, 2018. Check out the events calendar for fun fall programming, including a hike to learn wilderness survival skills and a walk to learn about the birds of the desert. 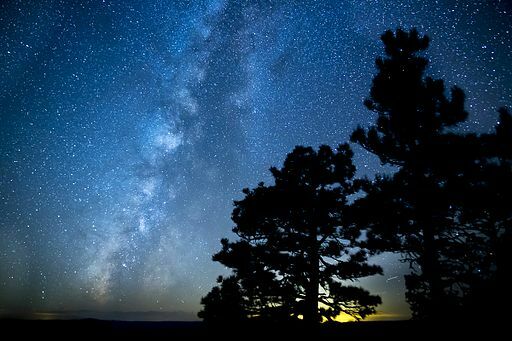 HECHO’s Pick: Star Party at Lost Dutchman State Park—Saturday, October 13, 2018, 7-9pm. What’s a Star Party? “This is an opportunity to see the moon, planets, star clusters, galaxies and other astronomical phenomena using sophisticated telescopes and talk with very knowledgeable and experienced local astronomers!” Admission is free with park entrance fee. Click here for more information. Viviana also recommends visiting North Mountain Park in North Phoenix. For a quick and easy-to-moderate hike she says that the North Mountain National Trail #44 “has great views of the city once you reach the top!” Among the City of Phoenix’s 200-plus miles of trails, this one is very popular and can get pretty busy with lots of dogs and children with their families. Tip: bring lots of water to drink and wear sunscreen and a hat as there isn’t much shade. Before you go: Review this checklist from the City of Phoenix. Arizona Representative and HECHO Advisory Board Member Mark Cardenas added that he loves Papago Park in Phoenix for fishing, hiking, and picnics, all in the middle of the city! If you are interested in urban fishing, the Arizona Game and Fish Department will be stocking Catfish during the week of October 15-20. Be sure to have a valid fishing license and follow the Fishing Rules & Regulations before you go. Al loves mountain biking and highly recommends the Cottonwood Valley Trail System, which is composed of 50 miles of trails within Red Rock Canyon, and contains 9 easy, 7 moderate, and 1 difficult-rated trail. If you are new to mountain biking, check out the nearly 4-mile long, aptly-named Beginner Loop. For more seasoned bikers, Al recommends the 10.5-mile Blue Diamond Loop. Whatever combination of trails you choose, you will enjoy the beautiful desert landscape and backdrop of red rock. HECHO’s Pick: Almost Full Moon Hike – First Creek—Monday, October 22, 2018. 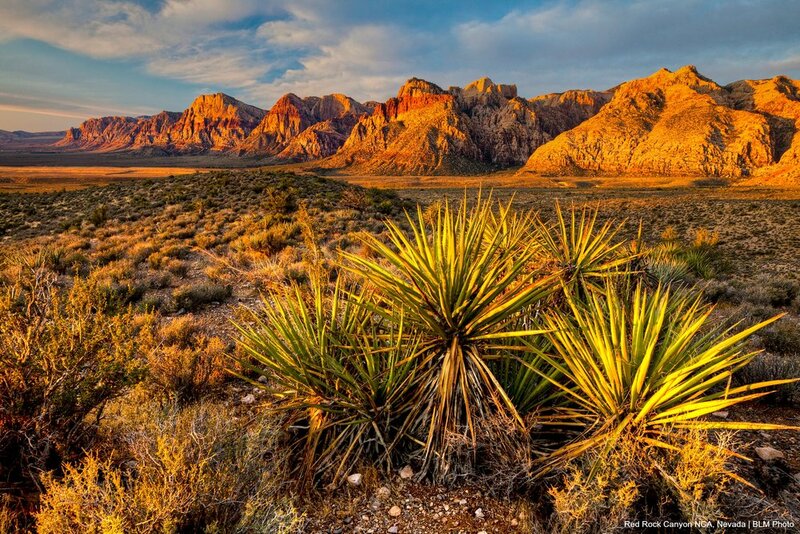 Organized by the Southern Nevada Conservancy at Red Rock Canyon: “Experience twilight in the desert and watch as the cactus glow from moonlight. Discover the desert at night as nocturnal wildlife take over, and unveil the importance of the moon to humans in the past and present. Estimate 3 hours and 2.5 miles. Moderate difficulty. Hike includes some scrambling over rocks. Flashlight required. Ages 10+. Limited Space/Registration Necessary.” Call 702-515-5367 to register or for more information. Just 20 miles southeast of Las Vegas, Al also recommends avid mountain bikers visit the Bootleg Canyon Mountain Bike Park which has “an extensive network of both cross-country and downhill-specific trails that have been hailed as some of the best in the nation.” Learn more here. There are many entry-ways into a hiking or biking path along the 34-mile River Mountains Loop Trail, including trailheads beginning from the City of Henderson, Boulder City, and Lake Mead National Recreation Area. Al recommends visiting learning more about the history of the trail, the geology of the River Mountains, and the Desert Tortoise, a threatened species under the Endangered Species Act which calls this area home. The 2,900-acre Clark County Wetlands Park has an amazing Nature Center, a Nature Preserve, and is home to several trailheads that access the park from various points along the 14-mile Wetlands Loop Trail. It also has a trail connector to the River Mountains Loop Trail (see above) on its southeastern side. Bikes and dogs are allowed on all trails except in the Nature Preserve. National Wildlife Refuge Week is October 14-20, 2018, and is a time to celebrate our wildlife refuges that provide habitat for thousands of species of wildlife. Check out the list of events happening during National Wildlife Refuge Week. On October 20th, Friends of Valle de Oro National Wildlife Refuge will be having its October Birds and Breakfast event from 7-10 a.m. “The event will begin with a catered breakfast by Atrisco Heritage High Academy at the Refuge education portable followed by bird watching on the Refuge and in the Bosque. This event is free and and family-friendly. Binoculars and field guides are provided.” RSVP by October 16. Learn more and register here. Utah Representative and HECHO Advisory Board Member Rebecca Chavez-Houck loves this time of year for outdoor adventures. 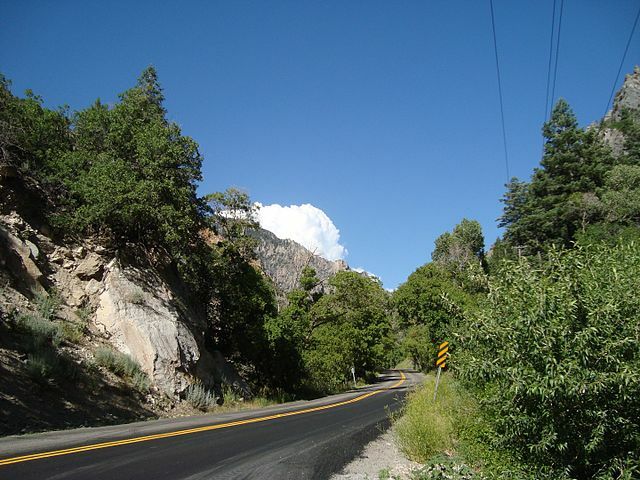 For a day trip she recommends any of the canyons along the Wasatch Range, which are a quick drive from Northern Utah’s major metropolitan areas. The Alpine Loop off of American Fork Canyon is one of her all-time favorites. “The aspen trees are glorious when they are at their golden peak of changing,” she says, and walking around Cascade Springs (on the route) is especially easy for little hikers. A portion of the trail is ADA accessible. The Canyon also offers fishing, camping, cycling, ATVing and rock-climbing, and is home to a herd of Rocky Mountain Sheep. Sardine Canyon to Logan is another beautiful drive at this time of year. Utah Valley also has lots of family friendly events in October including a Country Farm Pumpkin Patch, a sunset Farmer’s Market every Wednesday, and Jaker’s Jack-o-Lanterns at Harward Farms. Click here to see the full list of October events. Rep. Chavez-Houck also likes to visit the national parks in the fall when the crowds are thinner. 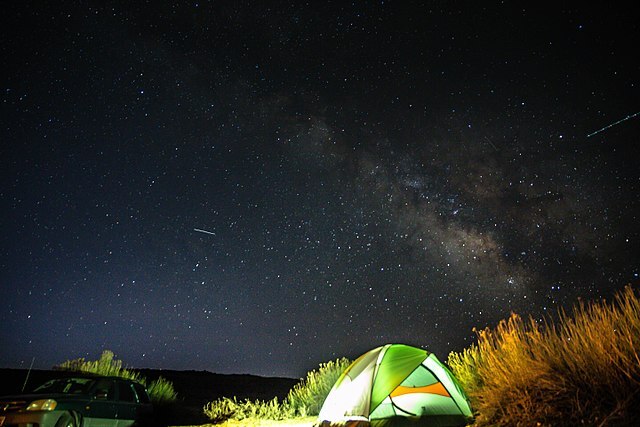 She often does weekend camping at Green River State Park for centralized access to Moab (Arches National Park and Canyonlands National Park) as well as Goblin Valley State Park. HECHO’s Pick: Stargaze in Goblin Valley State Park— The park is open until 10pm so that you can enjoy one of the darkest night skies on earth. “Virtually free of any light pollution from populated areas, Goblin Valley State Park offers unparalleled views of the Milky Way. More information here. Send us your recommendations by October 24! We hope you will be able to take advantage of HECHO’s list of recommendations for October outdoor adventures. We’d love to hear your recommendations for the best outdoor adventures near you! Please fill out this form by October 24 to be included in our November update, which will include information on free fishing days in Arizona! Thanks so much for reading and we hope to hear from you.